Our FMCSA training meets DOT training requirements while saving you time on administration, since we take care of it. 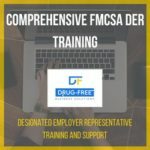 Choose from supervisor, employee, and DER training courses. Our FMCSA Reasonable Suspicion Training for Supervisors Program meets DOT training requirements, saves you time on admin work, and helps supervisors learn the content quickly and effectively. The program takes around two hours to complete. We provide customized certificates to each supervisor who completes the training in the correct time frame. So if they meet the seat-time requirement, they get the certificate. 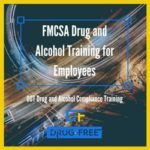 Don't wait too late to get drug and alcohol training. Choose from our online and CD-ROM options today! 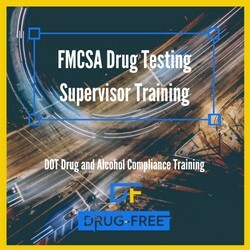 Our FMCSA Drug Testing Regulations Supervisor Training Program includes all of the courses in the Reasonable Suspicion program. This program takes 2.5-3 hours to complete. Choose from online or CD format. It will take around 9 hours to complete. Learn everything at your time and pace. And choose from online or CD format. 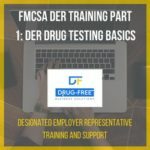 Become a great DER today by getting our training! Our training takes care of administration for you. So you can get to more of your work today. Meet DOT training requirements when you get our training. We make sure that each trainee meets the necessary seat time before providing certification. Our training is interactive and engaging, so you learn more. And the more you learn, the safer and productive your company is. 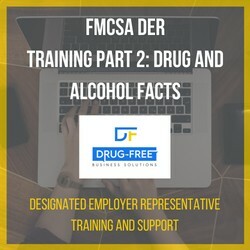 Each of our training programs is made up of several courses. 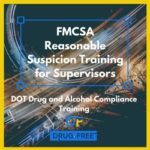 Below are some of our FMCSA-specific training courses included in the above programs.